In this page characteristic vectors of matrix we are going to see how to find characteristic equation of any matrix with detailed example. The eigen vector can be obtained from (A- λI)X = 0. 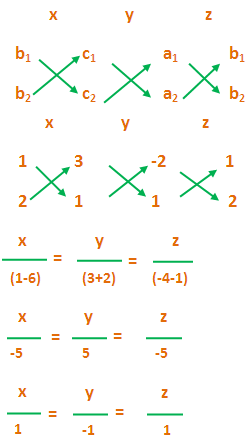 Here A is the given matrix λ is a scalar,I is the unit matrix and X is the columns matrix formed by the variables a,b and c.
Characteristic vector are also known as latent vectors or Eigen vectors of a matrix. Now we have to multiply λ with unit matrix I. For solving this equation first let us do synthetic division. 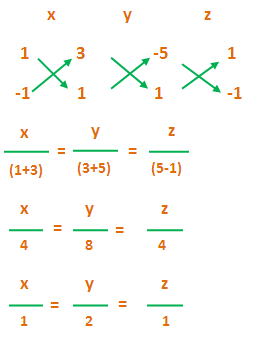 By using synthetic division we have found one value of λ that is λ = 3. 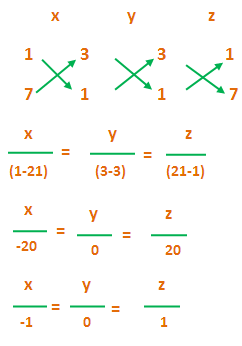 From this matrix we are going to form three linear equations using variables x,y and z.